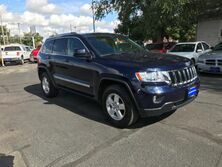 Car shoppers in the Twin Falls area looking for a fresh experience purchasing a new vehicle should pay a visit to Mountain West Autos. We are ready to welcome all of our new friends and community members to our locally-owned dealership. Mountain West Autos is a business that is built on the trust of our customers. Our team members will work with you to find the perfect vehicle to fit all of your needs as a driver. Mountain West Autos recognizes the small-town values of the Twin Falls area. These values permeate all aspects of our business. At Mountain West Autos, we specialize workhorse vehicles ready to get the job done. Our inventory is well-stocked in all of the best truck and SUV models on the market. We offer models like the Ford F-150, Chevrolet Silverado and Ram 1500 that are ready to handle everything you can throw at them. 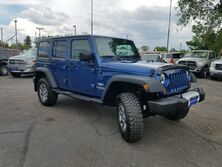 Take a look at our selection, or come on in for a test drive, to learn more about everything we have to offer here at Mountain West Autos. Drove from out of town and was very happy with the service and how easy they got me a loan, I felt they were very honest and hard working and did everything they said they would do and I left very happy, good honest place to shop they did a great job and I love my truck!